The largest of the five East African countries, the United Republic of Tanzania is practically surrounded by water with Lakes Victoria and Tanganyika to the north and west, Lake Nyasa in the south and the whole of its 1424 kilometres long eastern border and the islands of Zanzibar lapped by the warm Indian Ocean. Located just south of the Equator, Tanzania enjoys a tropical climate constantly warm throughout the year, humid at the coast, fresh and bracing in the highlands, and tempered by breezes on the islands. Twice yearly rainy seasons bring the vital green seasons to the bush and help to maintain the abundant wildlife and big game for which Tanzania is justly world famous. With over a quarter of its total area of 945,087 square kilometres set aside for game parks and reserves, Tanzania boasts some of the finest wildlife sanctuaries in the world, including the World Heritage Sites of Serengeti National Park, the Ngorongoro Crater, and Selous Game Reserve. 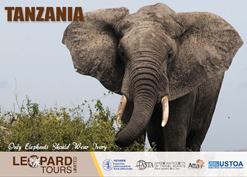 Alongside these famous sites are Mount Kilimanjaro, Tarangire, Lake Manyara, Mikumi, Ruaha and Zanzibar Islands which have for long crowned the Tanzania destination, readily appearing on the itineraries of tour planners on the market place. 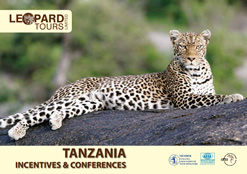 There are many other areas of stunning beauty like the game parks of Katavi, Mahale Mountains, Gombe Stream, Mkomazi, Saadani, Udzungwa Mountains, and Kitulo or the historical sites of Kilwa in southern Tanzania, which are now coming on to the scene but rarely featured in safari itineraries in the past. This is simply because the infrastructure and facilities in those areas were not as developed and Tanzania has many such pristine nature reserves yet to be explored for nature recreation. Tanzania is a mélange of different cultures, emanating from the interaction of the many tribes within its borders, as well as the early visitors on the East African coast with the local population. These include the native Bushmen who inhabited the Great Rift Valley with their intriguing rock paintings around Kondoa Irangi, the Nilo-Hamites, the Cushites and the Bantu tribes; the early traders from China, Malaysia, the Indian sub-continent, the Arabian Peninsular and the Persian Gulf; the Portuguese explorers, and more recently the Germans and the British. There are more than 120 tribes in Tanzania, boasting a rich and diverse cultural heritage. Kiswahili is the national language spoken by all tribes in Tanzania, and used widely in other eastern and central African countries.